This ordinary trip to the zoo turned into a memorable memory that the family would treasure for life. This new mother approached the orangutan and what followed was remarkable. The orangutan interacted with the mother, she wanted to see the newborn baby. 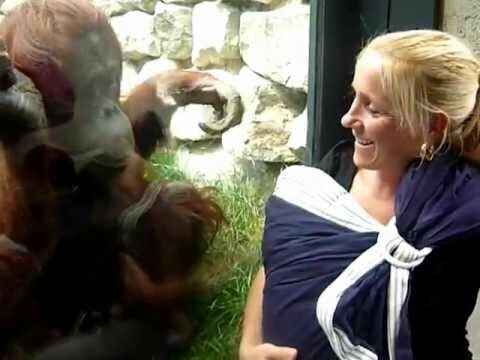 It pointed toward the mother’s newborn baby and wanted to see it, and the orangutan’s reaction was adorable.